Remarkable Creatures, the inspiration for Sara's and my weekend getaway. Perhaps the most unexpected joy of having children is how much I've learned from them over the years. When Sara and I concocted a plan for getting together during regular mother/daughter weekend getaways, she proposed that we travel to Lymes Regis for our inaugural trip. The destination on the Jurassic Coast of England came with an interesting reading assignment: Remarkable Creatures by Tracy Chevalier. 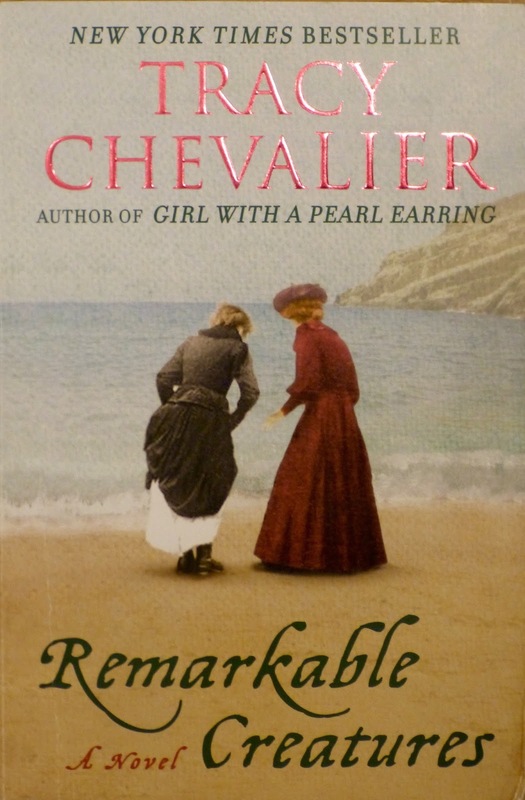 While Sara and I agreed that the historical novel based on real life characters wasn't as engaging as Chevalier's more famous Girl with a Pearl Earring, I could easily understand why it had captured the imagination of my geologist daughter because it recounts the tale of Mary Anning, a working-class girl who made some of the most significant geological finds of all time. Mary Anning, who inspired the tongue twister “She sells seashells by the seashore”, was born in 1799 to an impoverished family that supplemented their meagre income by collecting fossils on the windswept beaches of Lyme Regis. Not only did Mary have the good fortune to survive a lightening strike when she was a baby, she also helped her brother Joseph unearth the four-foot skull of an unknown creature when she was merely twelve years old. 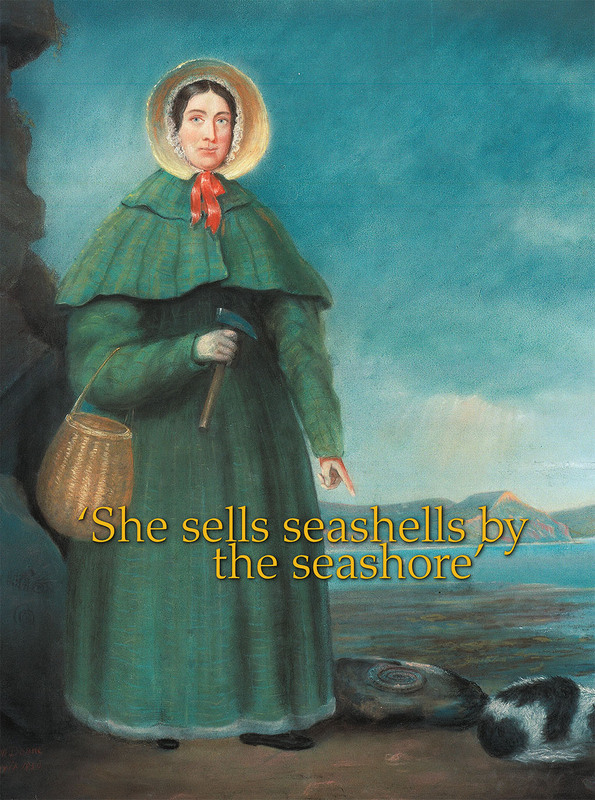 Mary Anning, "the greatest fossilist the world ever knew." With its jaw shaped like a needle-nose pliers and peculiarly large eye sockets covered with bony plates, the ichthyosaurus skull fueled the heated debate about extinction, a concept that was deeply troubling to those outside the scientific community. At the time, church doctrine maintained that the world was literally, and not metaphorically, created in 6 days and was a mere 6,000 years old. To help modern day readers better understand the conventions of early 19th century England, the story is told through the eyes of Mary Anning and Elizabeth Philpot, a middle-class woman who moved from London to Lyme Regis with her two sisters in 1805. 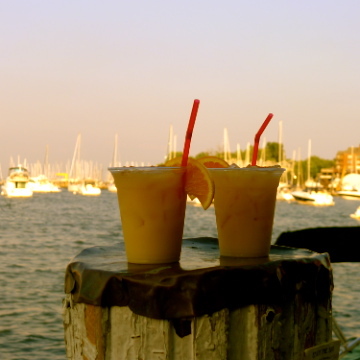 The self-educated girl and the spinster became friends while scouring the beach and limestone cliffs for specimens. Together they encountered famous scientists and collectors who flocked to Lyme Regis to see Mary's extraordinary discoveries and Elizabeth's fossil fish. Even though the two women won the somewhat grudging respect of their more liberal minded contemporaries, they were barred from entering the Geological Society of London and rarely received public acknowledgement for their work. Undaunted by gender, class or lack of formal education, Mary was posthumously included in The Royal Society's list of the ten most influential British women in science. I'm thankful that Sara introduced me to her! You can see Mary Anning's Ichthyosaur skull in the Enlightenment Wing of the British Museum and more of Mary's specimens in the Fossil Marine Reptiles gallery in the Natural History Museum in London. Elizabeth Philpot's collection of fossil fish is at the Oxford University Museum of Natural History. I read the book a few years ago, and thoroughly enjoyed it. Was it a fun place to visit? I really enjoyed reading this. Thank you! It made for a nice break from election news (ugh) and was educational too. I had not heard of Mary Anning. So cool! Thanks for sharing! I can't wait to visit someday. I told Sara about this, but we went and visited the limestone cliffs in Gotland and went looking for fossils. I'm pretty sure we didn't take any--my mom's a big proponent of leaving nature behind, though it's hard to know whether that came from having little magpie-children around, or a general understanding to leave things be, and remembering nature from photographs. I just recently read a children's book about Mary Anning. What a fascinating, inspiring woman. 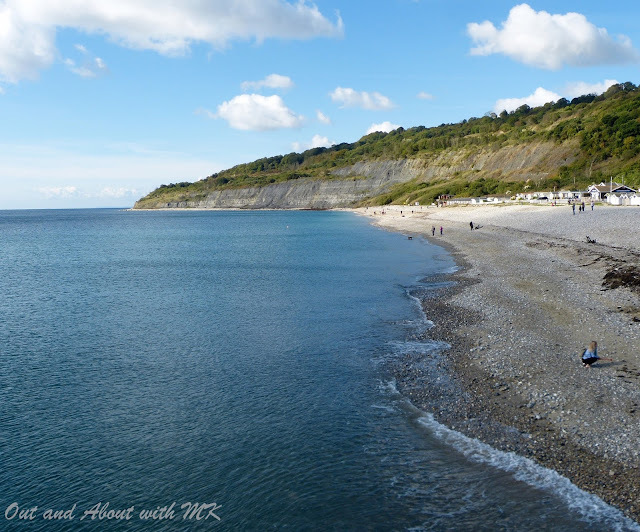 Lyme Regis looks beautiful. How nice that you and your daughter do trips together. Lack of acknowledgement of women's accomplishments of the 1800's has always bothered me. Finally we meet a female scientist who made great strides in her field.